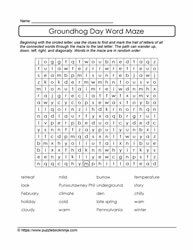 Word maze puzzles challenge visual acuity, fine motor skills and problem solving strategies. 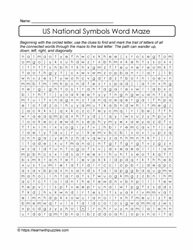 Similar to word search puzzles, except that a start bubble indicates the beginning of the maze, but the path can track in any direction. Each word in the list of words follows another word. The maze effect is created because the words do not track in a straight line.